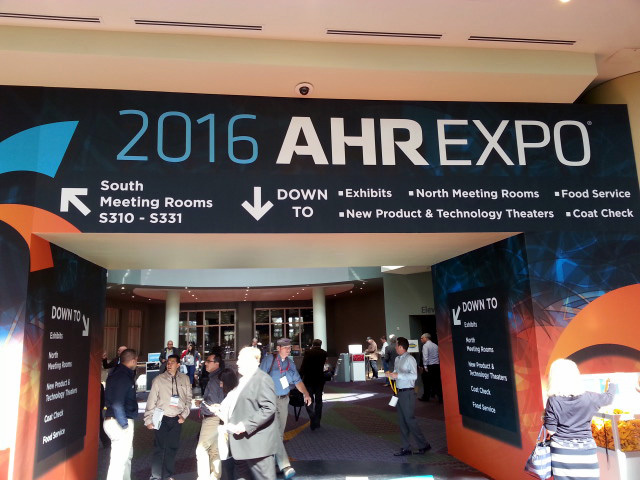 Most exhibitors and attendees that I spoke with at the 2016 AHR Expo deemed it another quality show. This year’s expo was held from January 25 through the 27th at the Orange County Convention Center in Orlando Florida. Several manufactures represented by Q Applied Systems were exhibiting and discussion took place with other manufacturers on representation partnerships. 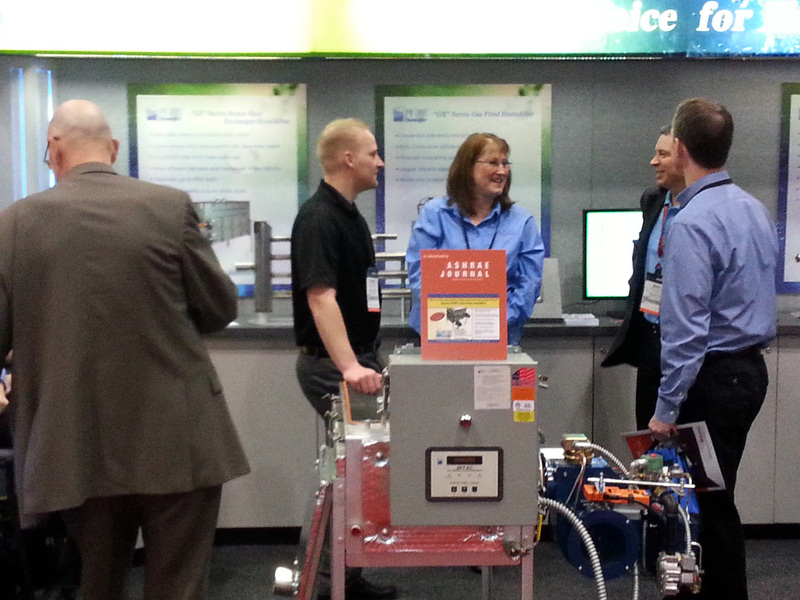 Pure Humidifier Company had a strong presence at the expo and featured new products for users. Pure Humidifier introduced a humidifier make-up water fill and level control system for end users who require very fine humidity tolerances but only have softened or city make-up water available. The smooth fill cycle rivals expected outputs of comparable systems with RO or DI grade make-up water. Pure Humidifier also introduced “Pure Clean”, a safe, easy to use and environmentally friendly descaling solution. Common brand name cleaners on the market today are chemically related to sulfuric acid that attacks the stainless material used in humidifiers. Pure Clean gently removes build-up without harm to surfaces, welds, accessories or your employees! Movex, Inc. drew many interested people to booth. The manufacture of local fume extraction snorkels, fans and filters had many products on display including the new RZX local extractor for welding stations and other heavy duty applications. The RZX offers rolled steel tubes, smooth internal surfaces and less pressure drop. Ease of use is made possible with double joints for a wider working radius, gas spring shocks for balance and a suction nozzle that rotates 360 degrees. 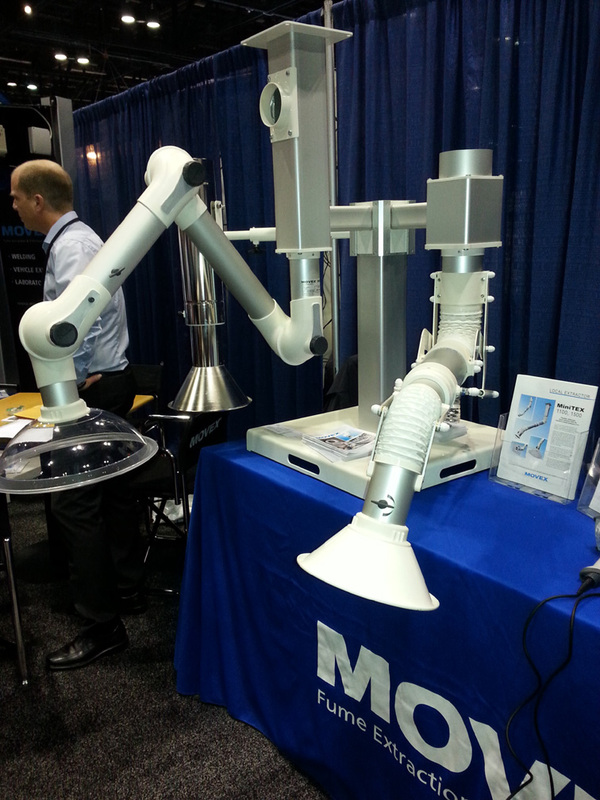 Movex also displayed its complete line of laboratory grade fume extraction snorkels. The ME and TERFU products are often the preferred snorkels of architects, lab programmers, mechanical engineers, contractors and end-users alike. The products’ aesthetics, flexibility and lowest industry pressure drops make Movex the preferred product to modern laboratories. MicroCool is the new addition manufactures represented by Q Applied Systems. 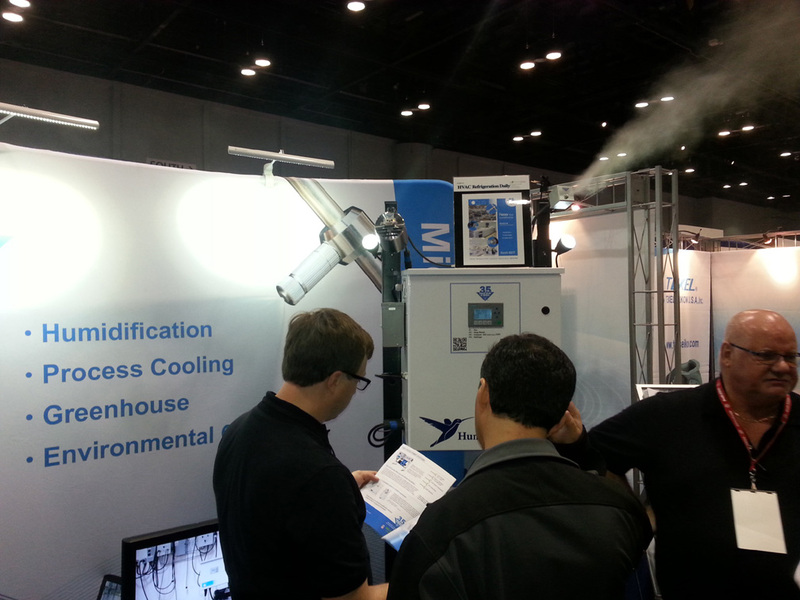 Now with 35 years in operation MicroCool specializes in precision humidity control with pressurized fogging and misting systems for commercial and industrial end users. Often tenants in commercial buildings find that their existing HVAC systems are not suitable for installing traditional ducted humidifiers. MicroCool has the solution for this and many other applications at fractional operating costs of other humidification methods. ASHRAE San Diego Chapter members always find time to mix business with pleasure. 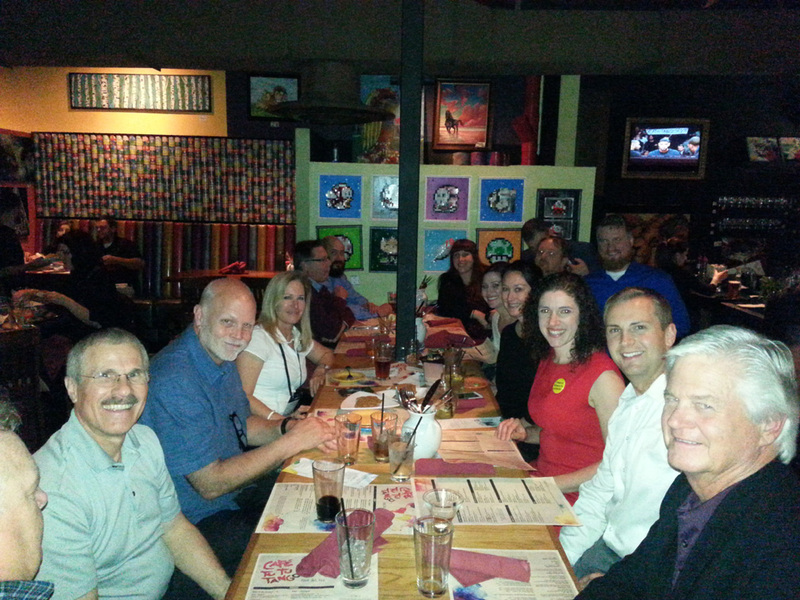 Over 30 members attending the expo found their way to the San Diego happy hour held at Café Tu Tu Tango in Orlando. Tapas and drinks were shared as well as lighthearted discussions of the week’s events. Back home, ASHRAE San Diego hosts a variety of technical and social events that are well attended. New faces are always welcomed including the YEA (Young Engineers in ASHRAE) group who always have a fun event on the calendar. Visit www.ASHRAESD.org to learn more. 2017 AHR – Viva Las Vegas! 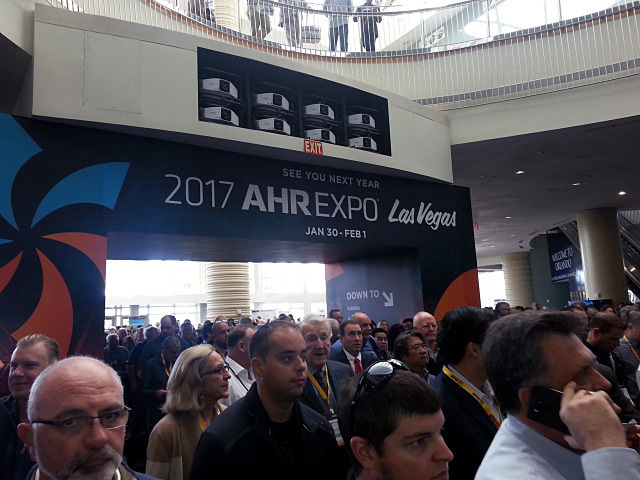 That’s right; mark your calendars for the 2017 AHR expo that will be held in Las Vegas from January 30 through February 1st. The expo is hosted in a west coast city once every four years so 2017 is your opportunity to get there! Q Applied Systems is a manufacturers’ representative of HVAC and moisture control equipment and systems as well as fume and dust collection products throughout Southern California and Baja Mexico. We specialize in the application of engineered systems and equipment for commercial and industrial markets.